From Neesvig's, Wisconsin's oldest purveyor of fine foods and meats, come these ready-to-grill marinated sirloin steaks. 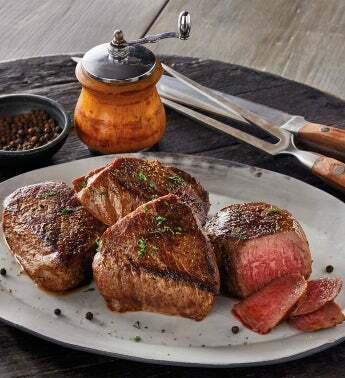 Each steak is gently infused with a proprietary bourbon-flavored peppercorn sauce that gives it a rich, savory flavor. Cut from the highest-quality certified Angus beef, these six-ounce sirloins have subtle marbling and a surprising tenderness that comes to the fore when grilled.